I feel like the laundry room doesn’t get a ton of love! I also know that my laundry room (a.k.a the basement) is an absolute hot mess, so I need to start implementing some sort of organization system to it. 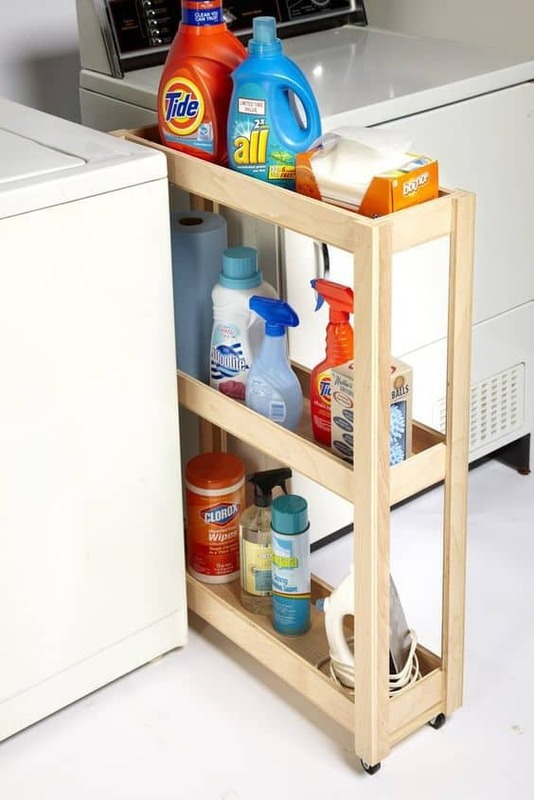 On my quest to find storage solutions for my own home, I came across these laundry room organization ideas and hacks that I have to share with you all! Enjoy! (P.S. There may be affiliate links throughout this post. If you happen to purchase something after clicking through one of them, I receive a small compensation at no extra charge to you. You can read my full disclosure policy here). 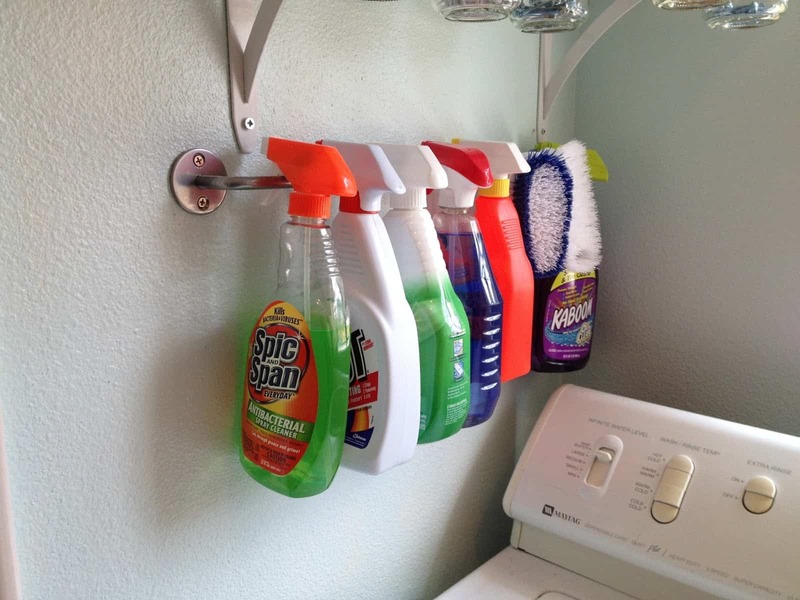 This is such a great hack for cleaning supplies in the laundry room. Attach a towel rod to the wall to hang stain remover and more, so it’s always in quick reach. 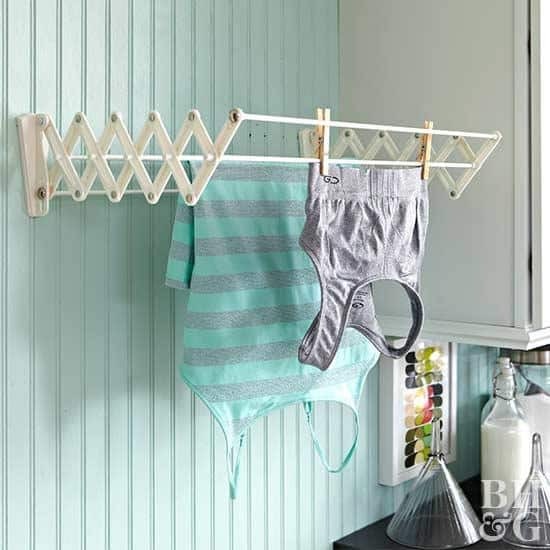 This idea for a drying rack is a great one. It expands out when you need it and collapses when you don’t to save room. You can find a similar one here. 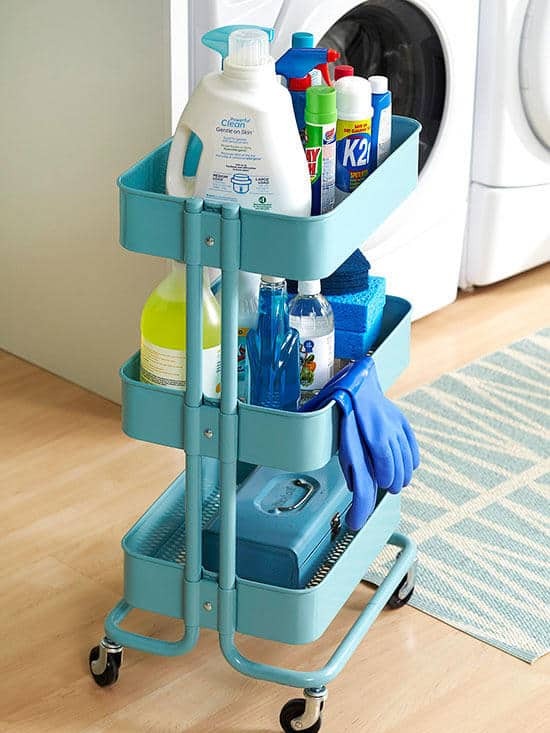 What can’t you do with these awesome rolling carts? You can seriously use them in every room of your house! I absolutely love use of this in the laundry room. You can find an almost identical rolling cart here. I was thrilled to find this storage hack for an ironing board! I currently have mine leaning against my bedroom wall and it’s always in the way. I can’t wait to implement this idea. 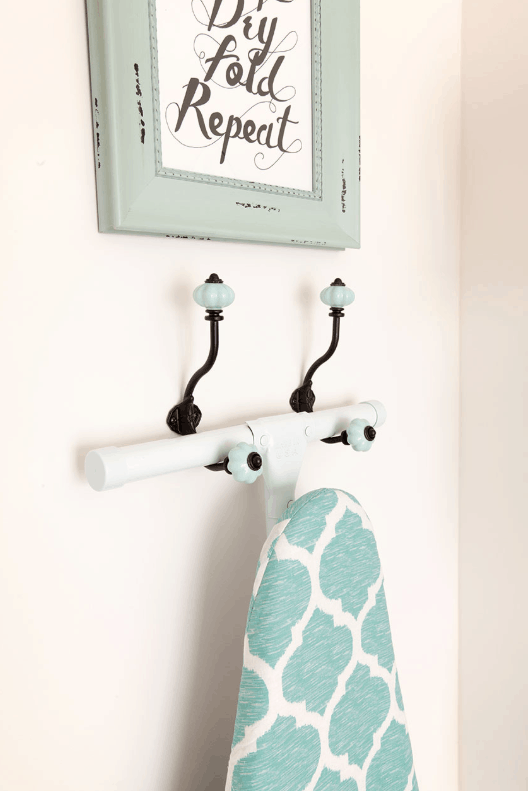 You can find decorative wall hooks to match your decor and simply hang your ironing board on them. Why have I never realized I can use a dry erase marker on my washer? Do you know how many sweaters I could have saved before they reached their fate of pill-y fate? Just about 100% of the time, I forget to take out specific articles of clothing that should NOT be dried when I remind myself in my head. This will defintely be happening in my house. 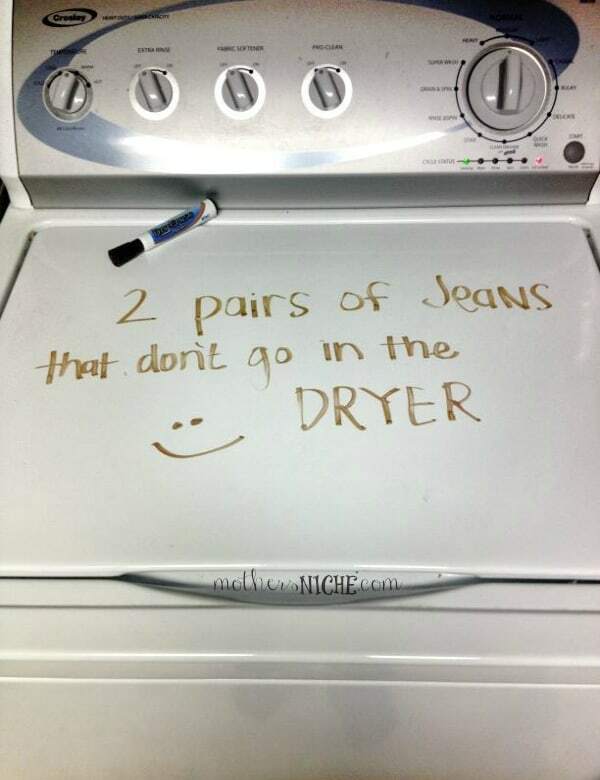 And better yet, use a magnetic dry erase marker and stick it on your washer so it’s always where you need it. Yet another use for these awesome over-the-door storage racks! If you’re tight on space, you need to utilize every square inch (including vertical space). 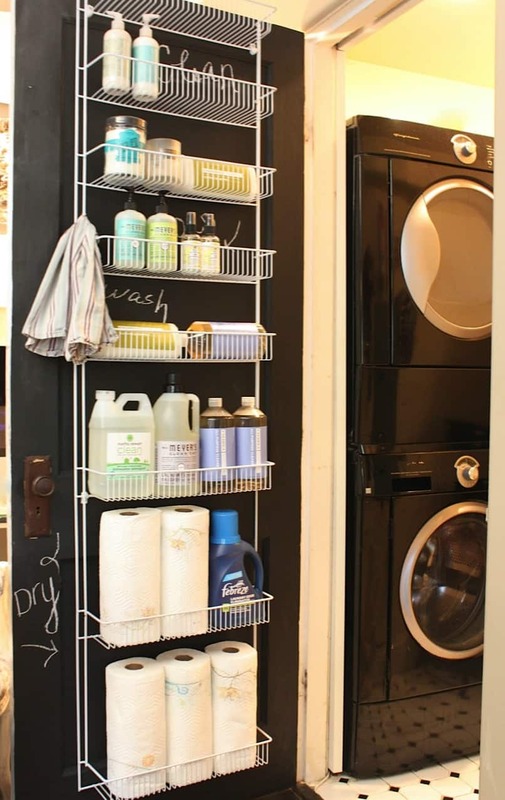 Using the back of a door is the perfect solution for a small laundry room. How adorable is this sign for missing socks? You can purchase the printable at Studio Underground and pop it in a frame with attached clips. 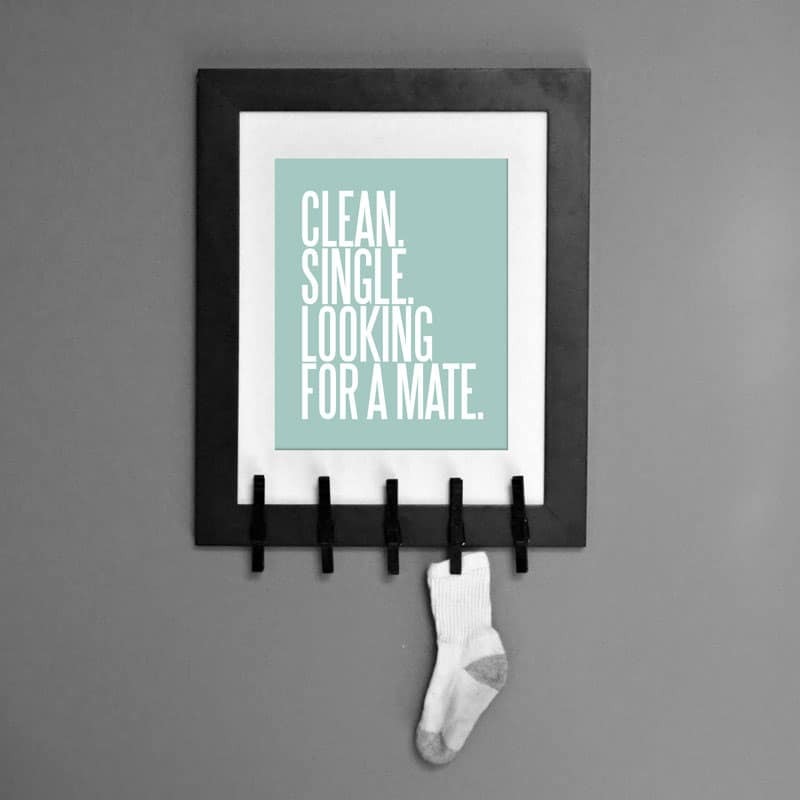 I’ve also seen people just have a specific basket for socks without its matching “mate”. Either solution is key to keeping socks together! Lately I’ve been obsessed with pegboard organization hacks. I’m planning on creating a huge pegboard wall in my kid’s play room to store art and craft supplies. After seeing this idea, however, I probably will be implementing it in my “laundry room” as well (my laundry room = basement). 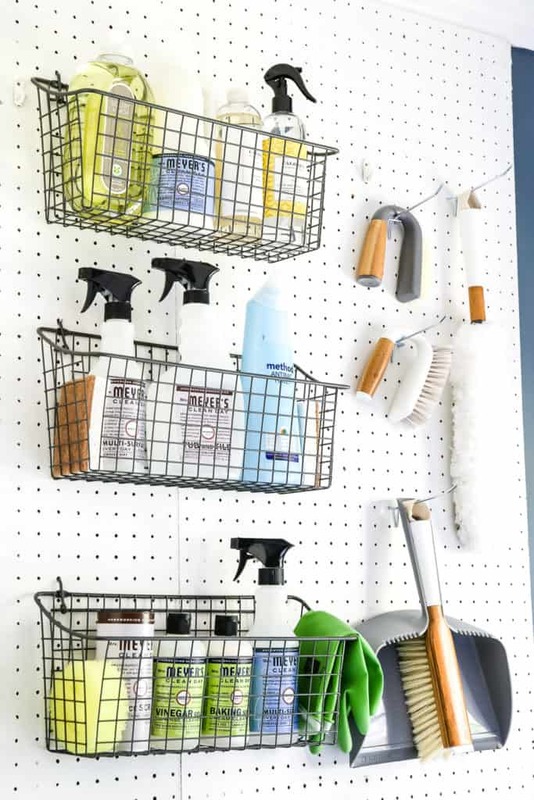 Pegboards are awesome, because you can attach so many different accessories to them to store countless items. You can find some similar baskets here. I love a good Home Alone reference, so this obviously needed to be added to the list. You can check out the tutorial over at Tried and True. 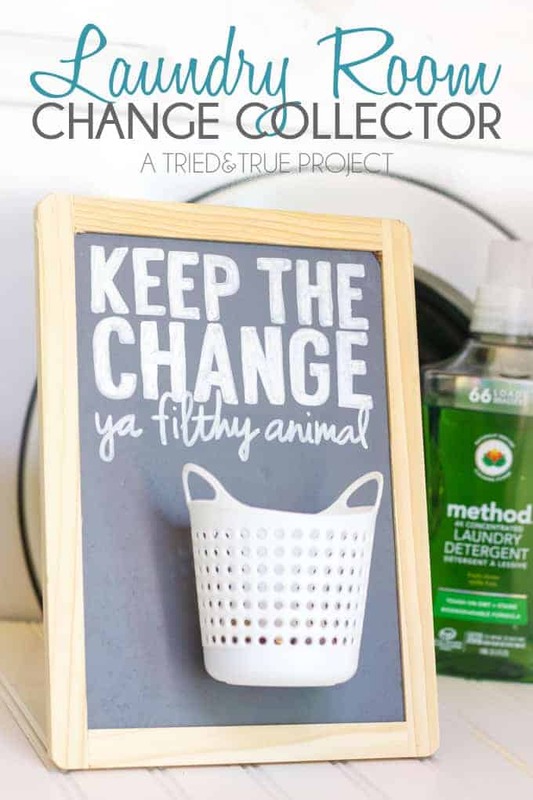 My takeaway from this is to have some sort of solution for spare change in my laundry room, because we ALWAYS seem to have change piling up on top of our dryer. I am in LOVE with this idea and I’m defintely going to be implementing it. As I mentioned before, my laundry room is actually my basement so I can’t really add a bunch of shelves and things of that nature like I see other people doing in their laundry room (I am jealous though!). That being said, this is the PERFECT solution for me. There is a great tutorial on how to build this over at Family Handy Man, but truthfully, we aren’t too handy so I’ll probably be purchasing this version over on Amazon.